Lovely clean and tidy modern holiday home. Many toys including kayaks, paddle board, sailing dinghy and trampoline. Walk down the steps to the estuary or sit on the deck and enjoy the panoromic views over the pacific ocean. Enjoy the many local attractions including the cycling trails, historic features, walks, horse riding, beach local free tennis court and the amazing Athenree hot pools that are 2.6km from the house. Family groups only, no parties. We had a lovely long weekend enjoying the breathtaking view and outdoor activities available. My son enjoyed the trampoline, fishing off the wharf catching yellow tail and kawhai. We had family competitions playing patonk and table tennis. Just what our family needed after a recent loss of our beloved Dad. The home was spacious and warm with all day sun from sunrise to sunset. Great home, we have a lovely time despite the weather. Great home, we have a lovely time despite the weather. Thank you for renting out your home. We would definitely come back. Fantastic home, quiet and really comfortable. Fantastic home, quiet and really comfortable. The location was perfect for our family summer holiday allowing us to venture around really easily. Awesome spot. Great views of the beach and estuary. Easy access to the estuary for a kayak or paddle. 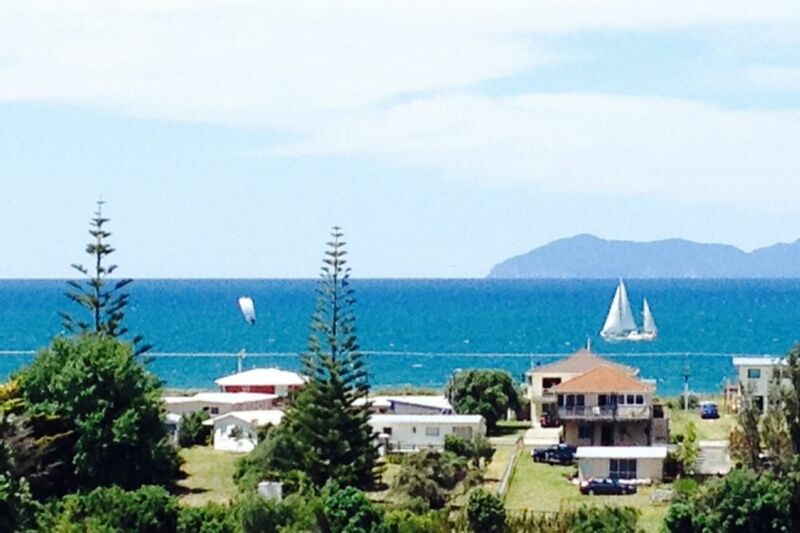 Also very easy to get to Waihi beach. The house is very spacious, well looked after and easy to live in. The modern bathrooms and kitchens are very nice. Would definitely stay here again.